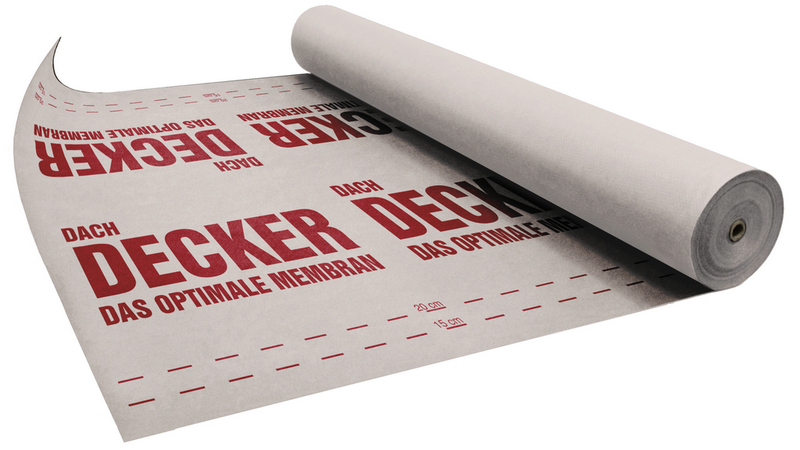 A basic roof membrane from innovative line of DACHDECKER. Threelayered, diffusive with weigth of about 118 g/m2, with good application parametres and BBA / CSTB certified. High class membrane in a very attractive price! It cannot be used on roofs with full boarding. 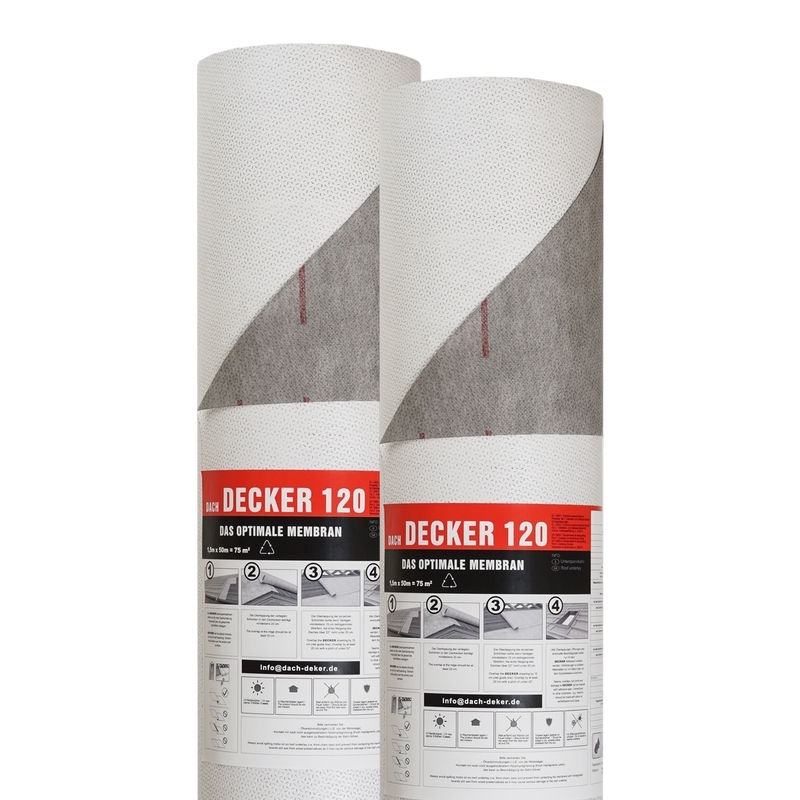 Membrane DACHDECKER 120 is designed for use as initial covering for ventilated sloping roofs without sarking. Product is also suitable for application when conducting ‘reverse renovation’ works in roof and attic. Preservation of venting slot between the membrane and the thermal insulation (mineral wool, fiberglass) is not required for installation – product can be installed directly on thermal insulation. The final roof covering must be assembled with batten and counter-batten. Suitable for use in nearly all types of roof coverings – recommended for cement and clay tiles as well as metal roofing.